Waiting for the Hershey Trolley in Hershey, PA! More crazy business over here. Life is moving at light speed right now, we are really focused on the adoptions, but remembering to try to stop and take in what is happening right now. It was a big month. 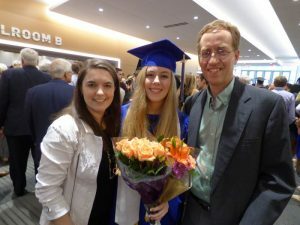 Our oldest graduated high school, and we are so proud of her! Rinnah graduated with highest honors and got so many scholarships and awards, and we are so proud of her hard work. But far more than that, we are so excited for who she is, her character, and the woman of God that she has grown up to be! She has had a really hard last couple of years with the work load, anxiety, tough things with friends, and also tough things at home with Noah’s heart surgery and adoption, and she has persevered with the Lord and grown so much in her faith! I am so happy for her that she has endured and achieved and grown, and we are thrilled for her future! She’s going to attend Taylor University in the fall intending to double major in art and writing and we think it’s a perfect fit. It’s so fun to see her excited for her future! Love you, Rin. 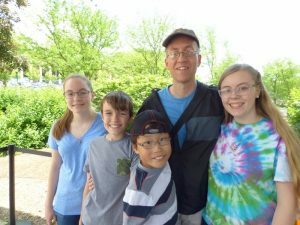 We had all the hoopla and fun and seemingly endless concerts and ceremonies that accompany May with four kids, and we tried to soak it all in and appreciate it rather than getting caught up in getting to the next thing. And then right after Rinnah’s graduation party, our family headed to New York. I had some ministry events and the kids were out of school, so we decided to take everyone and show Noah some of our old stomping grounds. We drove out and spent one night in Hershey because Noah loves chocolate. That’s my boy! 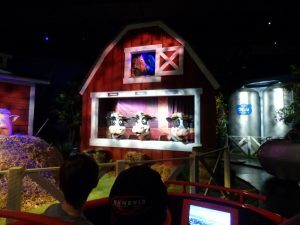 We didn’t go to Hershey Park because Noah can’t ride coasters with his heart, but we DID ride the free how-chocolate-is-made-complete-with-singing-cows-and-singing-candy-bars ride at the store multiple times. We admit it – our motivation might have been swayed by the free candy bar at the end. And we took him on the trolley tour and that was fun too! Great way to break up the drive. When we got to New York, one of the churches was letting us use their guest house so we just moved in and crashed. 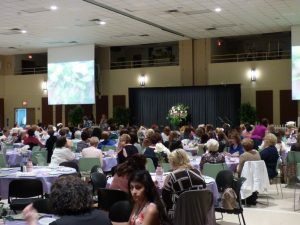 The next morning I was off to Smithtown Gospel Tabernacle to do their spring women’s luncheon. This is a church that has such a heart for outreach! That’s what this event was, and it’s so dear to my heart – we had a wonderful time. I spoke on John 10:10 and “Life Not Typical.” We had a great response and got so many kids sponsored – I love that! Back in the afternoon, and I headed to the other church, Island Christian, to soundcheck for the services the following morning. Sunday morning I spoke and sang on their services. What a fun thing to watch God coordinate! They were doing a focus that weekend on the value of life, and here we were able to come at it from so many directions! They’d already invited the director of the pregnancy help center to give a short testimony, and then I was able to present God’s heart for children with special needs, orphans, and those in poverty. It was a really wonderful morning, and again we had such a response for Compassion! I love it. And to make it even more special, there is an adoptive family there with 3 daughters from China, all of whom are now lovely young women, and one of them asked to be our helper at the Compassion table, and did such a wonderful job! I had connected with this family as we were planning for Noah’s adoption, so it was so fun to see them again and have them meet Noah! Monday we went to the beach and walked out to the lighthouse and played in the sand. 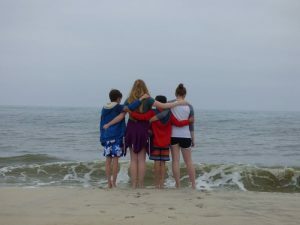 It was totally freezing for the beach, but it was supposed to rain all week and it was holding off and this was Noah’s #1 request so we went. We actually had a great time in spite of freezing! And we got some good sand castle making in. 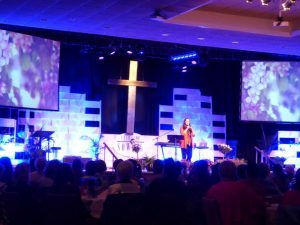 Tuesday I did the year end women’s ministry event at Island Christian and spoke on “Life Not Typical.” Again, just absolutely love this church. Mike and Mary, the pastor and his wife, are just some of my favorite people. Loved working with Mary on this and we had a wonderful response! That night we took the kids into New York and saw Aladdin. This was a huge splurge, but we thought you really can’t go to NY and not see a show. How the heck do they make that carpet fly?! It was a super fun night, and fun to be back in Manhattan for a bit, even though I have PTSD from the traffic. 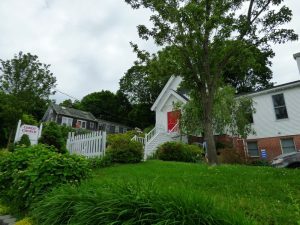 The next day we took the kids to all our old stomping grounds – our old house, the hospital where Rinnah was born, our old church, the restaurant where I waited tables, the beach we used to hang out on. It was fun just to go back in time a bit. 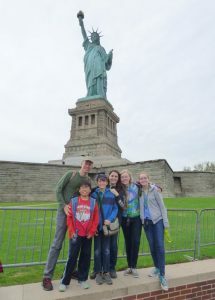 Thursday morning we headed out and drove to New Jersey and then went to the Statue of Liberty and Ellis Island. I had no idea you could do this from Jersey (I’ve always gone to Battery Park in Manhattan) but the parking was great so we tried it and it was fascinating in itself! You go through the old train station where they sent people from Ellis Island all over the US to their destinations – so cool. 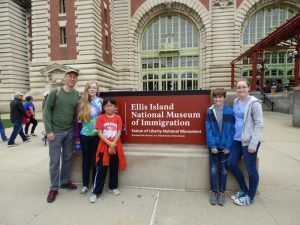 And I love Ellis Island – amazing to think of all the human drama from all over the world playing out there. And for me, especially touching now as I consider that I have family members who are immigrants. Noah is an immigrant. Our new children will be immigrants. This is what our country was built on. We need to remember that that is part of our strength and who we are as a nation. They even had a section in the Ellis museum about adopted children immigrating. We spent the night in PA and then went to the Carnegie Museum in Pittsburgh to show Noah the dinosaurs – he loved it! Then we spent the night with dear friends, the Baylors, who moved to Pittsburgh last year. So great to see them and hang out! Home the next day. Overall, it was such a fun trip with great family time, and great ministry time!